The strongest evidence is in the secondary or pre-appraised research. The pyramid is divided into levels with the strongest evidence at the top. Systems is not widely used. Begin with Summaries. 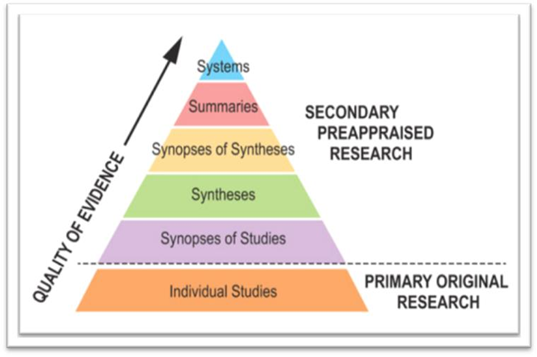 If you cannot find the information in Summaries continue down the pyramid remembering that the strength of the evidence decreases as you go further down the pyramid.